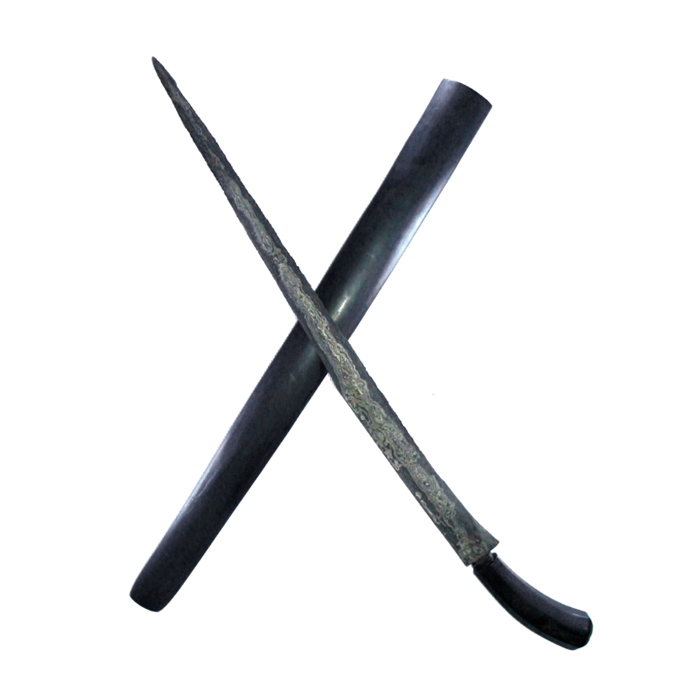 Suduk Maru is a traditional Javanese dapur pedang or sword’s model. The design of the Suduk Maru is vaguely reminiscent of the dapur Cengkrong keris model, though the latter is significantly smaller in size compared to the sword’s model. It has been suggested that this particular dapur pedang was very populair in early Islam in Java, for indeed, the majority of Suduk Maru swords are made in the tangguh Tuban (1294–1474 CE) and Mataram era (1582–1749 CE). Thus, the pedang Suduk Maru sword can be considered an ancient pusaka heirloom of great historical value. 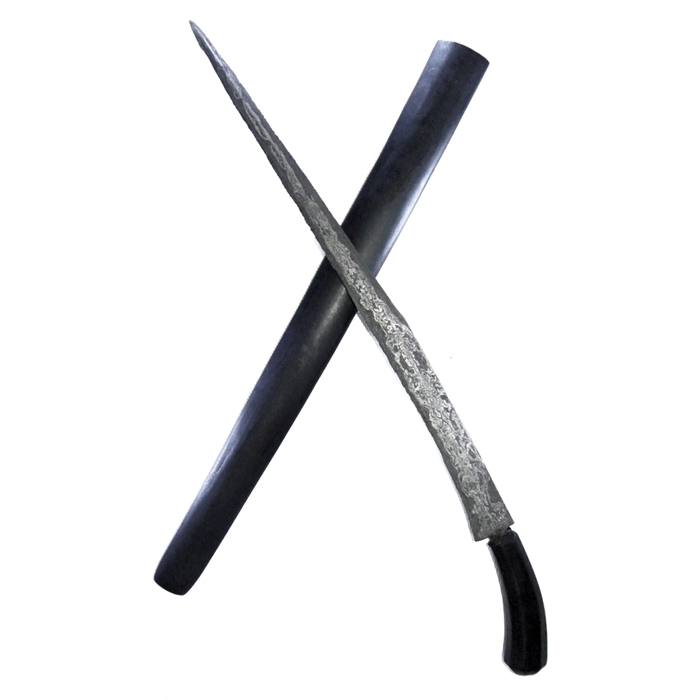 The old iron blade of the pedang is forged with the characteristic Wos Wutah pamor pattern on it. This pamor motif represents disseminated grains of rice, covering the entire blade from the base to the tip. Wos Wutah (also called ‘Beras Wutah’) is a a traditional Javanese symbol of wealth; hence, any pusaka featuring this type of pamor should ideally be kept for the sustenance of one’s family. In this way, then, the mystical properties of the pamor Wos Wutah pattern will bring prosperity to both the owner of the pusaka heirloom weapon and the members of his or her household. And so, not only does this sword have great historical significance, it also has sacred value in regard to the mystical properties of its pamor motif. In spite of its age, the blade has been extremely well preserved to this day. As a result, a lavish pamor pattern emerges from the antique blade. The pedang Suduk Maru, therefore, is a state-of-the-art sword in the world of tosan aji or ‘sacred metals’ indigenous to Indonesia.